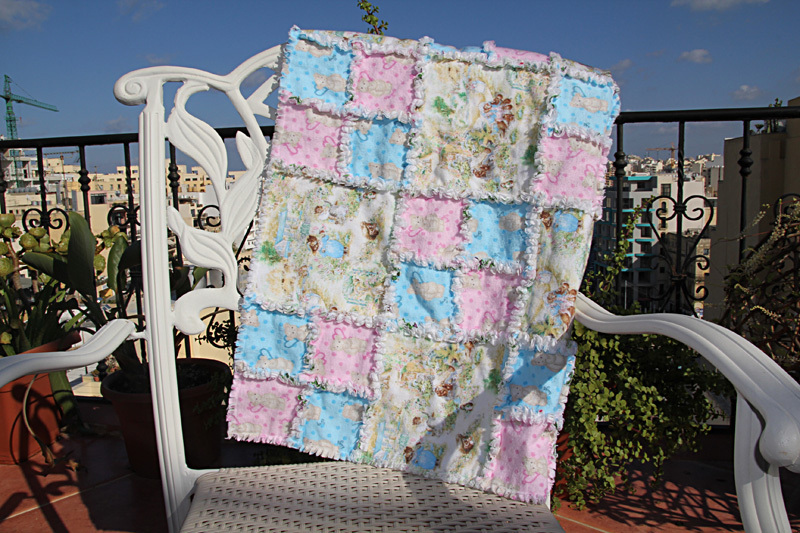 Sami Jewelery: Fresh from the sewing machine! Fresh from the sewing machine! I've had this pile of flannels that I got a few years back from my mother for a project that never was made reality and now I felt I just had to try and make something out of these poor forgotten pieces. 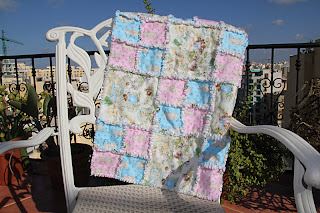 So I made a baby rag quilt and gosh what a fun project it was! 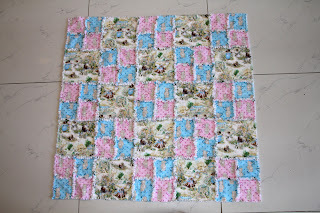 It took only a day and it was so easy to make. There was an adorable Beatrice Potter fabric in there so those got to be bigger pieces of 20cm. 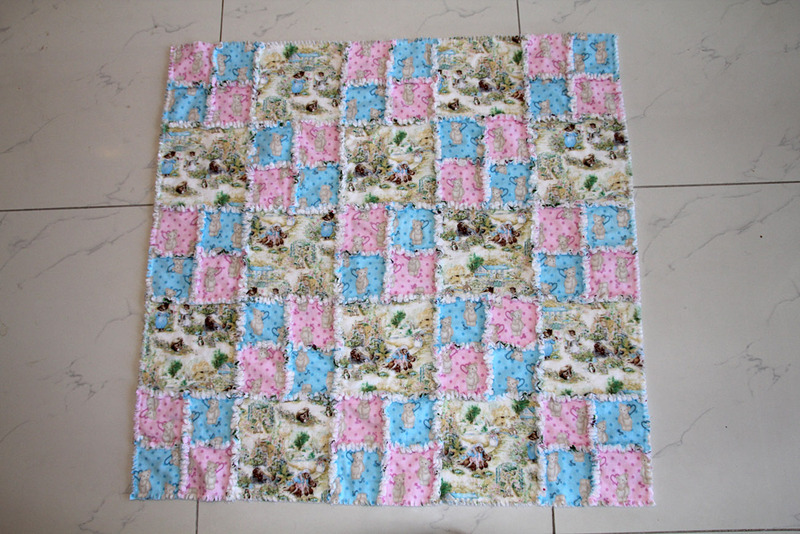 It ended up being 90x90cm and in the photo it's been washed once. Most welcome to "Sami Jewelery", my blog about one of my biggest interests, creating pewter bracelets and other pewter jewelery. My bracelets are made of high quality wired pewter legated with 4% silver and only good quality caribou or lambskin leather is used. Please enjoy my Swedish-Maltese spin on traditional Laplandic jewelery!